Valerie auditioned for Junior High District Honor Band Saturday. She'd been practicing since August at home, after school, and during free time at school. The prepared piece was pretty tough and she didn't even know how to play it at first, but she got the hang of it over time. She has been really nervous about auditioning for a while. She knew she was going up against more experienced 9th graders this time. It's all she talked about the past few days -- how she would be so nervous and pass out. I kept telling her not to think like that. Val is an excellent clarinet player and is first chair at school. She knew the scales, the prepared piece, and she is pretty good at sight reading. When we arrived at the audition, the line was literally out the door and down the sidewalk. Someone had forgotten to turn on the air conditioner (this is the south y'all) and the school was hot and humid. They ended up having to rearrange the audition locations so that put a big delay on start times. It took us a good 45 minutes just to get to registration. Then Val warmed up only briefly before going to wait her turn. There were 7 clarinets ahead of her, so we had to wait some more. Anxiety was pretty high. She was dizzy. It was close to two hours from when we arrived to when it was her turn her audition. I guess it was a combination of the long wait and anxiety, but it was not her best performance. It wasn't horrible, just not her best. She knew those scales frontwards and backwards, but squeaked over some of them them. It being so damp and humid, I'm wondering if that affected her wooden clarinet somehow. The prepared piece went okay. Sight reading was okay. She walked out and just burst into tears and cried in front of her friends in the hallway, cried the whole way home, and then in her room the rest of the morning. Valerie never cries, so it's pretty intense to see her so distraught. She was totally convinced she was terrible and blew her audition. I felt so bad for her. Usually the results are posted the same evening on the district's website. We checked, And checked, And reloaded the page over and over and over. Nothing. I even woke up and checked in the middle of the night!! Nothing. I checked first thing Sunday morning. Still nothing. Finally about 9am the list was posted. 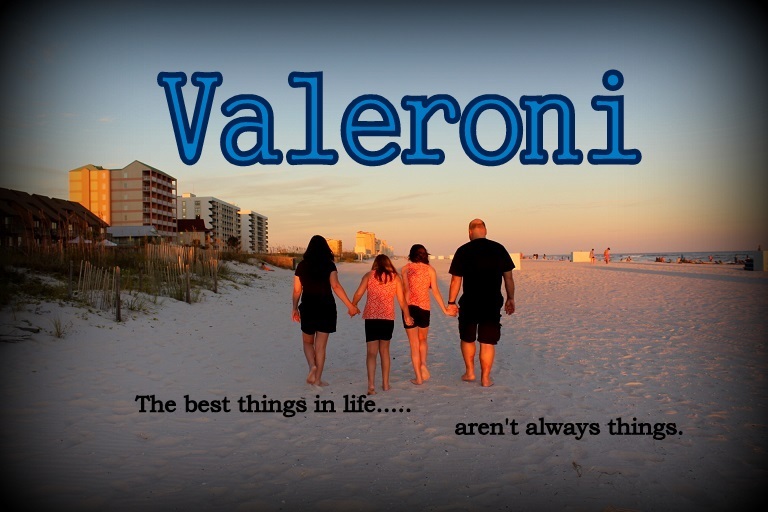 I was afraid to look fearing the worst -- but to my surprise -- There was Valerie's name. Clarinet #9 out of 18 spots!! She made it after all and scored right in the middle. Her audition was not as bad as it seemed to her, apparently. Very proud of my ValGal. Here's to 8th grade Junior High Honor Band! How amazing for your girl!! I played the clarinet myself, and I know just what an honor it is! How exciting! Congratulations! I hope she has the best time! Great...congratulation for your daughter performance.